Step By Step Guide - Exchange Trading, Sports Tips And Crypto. Following this guide will help you to get the most from your first bet and avoid all the common pitfalls. Please read it through from start to finish before you do anything, then go back and work through it step by step. Note that the exact offers mentioned in this post are old and may have changed, but the principles remain the same. An old version of Oddsmatcher is shown below, but the current Oddsmatcher will do exactly the same thing. Opened a suitable bank account with a debit card. Collected together the relevant documents for ID purposes. Familiarized yourself with the matcher spreadsheet or oddsmatcher calculator. Understood the first 3 sections of the beginners guide, in particular the sections on betting exchanges and how to cash out SR and SNR free bets. Read the page on cashback sites. 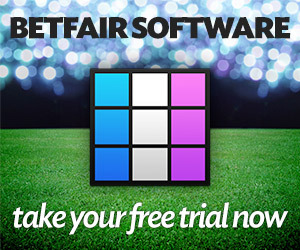 Nothing is ever 100% straightforward, and the first issue we run into here is that Betfair’s free bets apply to the sportsbook only. Therefore if you do not have a Betfair account, signing up with them to lay off your first matched bet will waste your free bet, and is not the best idea. Normally Betfair is the best of the betting exchanges to use, but because of this issue if you do not have a Betfair account already I recommend Betdaq so that you can then sign up to Betfair later and take advantage of their free bet too. Betdaq sometimes have a free bet, typically SNR with a small wagering requirement, but this can be placed on either back or a lay bets. Check the T&Cs to make sure that you use suitable odds. Stage 1 – signing up. Step 1 – check the bookmakers list. Choose a nice straightforward SNR free bet from a bookie on oddsmatcher, eg Stan James. The free bet is reasonably small, so laying it at highish odds is not going to require a huge bank. Both the bookie rating and the free bet are green, so this is a safe bookmaker with an easy free bet. 1xD+B shows that there is no WR and once you have bet with the free money you can withdraw any winnings. Check the bookie page – odds are on Oddsmatcher, there are no warnings, no cashback available, no adverse reports from SBR. There are no special codes to enter to qualify you for a free bet. Step 2 – Sign up to Stan James. Their free bet offer is consistently available on the site, so there is no need to go via special links. You can either click through the link on the bookie page or type the url into your browser, whichever you prefer, and you will get the free bet. Fill in your details on the form. Remember it is wise to choose usernames and passwords which are different for each site, and keep a record of them. It is unwise to use a well known forum name. Your bookie accounts are linked to your bank card – if someone hacks them they can damage you financially. Step 3 – Deposit £25 into Stan James ready to place your qualifying bet. Step 1. Check the Bookmakers List and Betdaq’s bookie page. At the moment a £20 free bet is advertised and this is SR with minimum odds of 2.0, so it will behave like your own money for the purpose of laying a bet. Laying the qualifier at Stan James will easily cover the £20 you need to bet in order to qualify for the free money at Betdaq. Again both the bookie rating and the free bet are green and apart from betting with the free money once, there is no WR. Check the bookie page for Betdaq. Note the warning about Moneybookers deposits – it is best to use a debit card to fund Betdaq. This is fairly common – always check for promotional codes and fill them in if needed, as if you don’t you won’t get the free bet. £20 cashback is available from Topcashback. Cashback is less reliable than free bets so if you can only have one, always choose the free bet in preference. Check the cashback conditions carefully: BETDAQ sales are based on the introduction of customers to BETDAQ who have a first single matched bet of £30 or greater. Remember to log into the cashback site (or join if you haven’t already). Check that the link on the cashback site takes you to a page where you can see a free bet offer. Sometimes you need to click through to the bookie homepage – this is ok, as long as you don’t have to leave the site and get in another way to see the free bet offer. Note that you will need to deposit and bet at least £30 to qualify for the cashback You therefore probably won’t get the cashback if you are only laying £25, but it is worth clicking through their link because you just might if they regard your liability as a “bet” – after all, that is what you are risking losing there. Step 2 – sign up. Fill in your details on the signup page. Betdaq has an option to tick for receiving offers. Always tick these – this might sound like asking for spam, but bookies do sometimes send nice free bet offers to their customers and you want them! Do not deposit any money at Betdaq yet – you don’t know how much you will need until you have found something suitable to bet on. Stage 2 – placing the qualifiers. Step 1 – find a suitable qualifier. Remember that you need odds of 2.0 or more for the free bet qualifiers at both Stan James and Betdaq, so don’t look at anything that has either part at odds on. The top bet looks suitable with a match of 3.6/3.6 on the draw. Note that the next 2 bets down would be no good because they are less than evens and therefore would not qualify you for a free bet at either Stan James or Betdaq. Step 2 – check the odds at Stan James. The odds for the draw are 3.6, so that is fine. If the bookie had cut the odds you would need to go back to oddsmatcher and select another match at this point. The 3.6 on the draw is there but there is only £18 available, not enough to match our bet. You should always check the amount available (liquidity) before making any decisions, because on some matches there is very little money indeed. This is a Champions League match which is not played until tomorrow – you should try to stick to the bigger games like this if you can. If there is insufficient money available or if the odds have moved in the wrong direction you will need to find another match – it is very unwise to queue and hope. If you do not understand what you see in the picture or what I am talking about, please refer to this post on Betting Exchanges. For simplicity lets assume that there is no money at 3.6 and we will take the 3.65. There is plenty available there and plenty of time until kick off – we would be desperately unlucky to find that everything changed while we were part of the way through the process. This shows that your lay risk is £66.25, which is what you will need in Betdaq to cover your liability if the match ends in a draw. It is probably best to deposit a round figure at Betdaq – £70 would do fine. With these odds and stakes you will lose £1.25 on this bet whatever the result of the match. Step 5 – Deposit your money (in this case £70) at Betdaq. Go back and check the odds for this match at Betdaq and Stan James before you do anything else. You should refresh the page at Stan James to make sure you are seeing the current odds. Step 6 – get your bets ready. Check that you are logged in to your account at Stan James, then click on the odds to load that selection into a betslip. Important – check that the odds shown on the betslip are what you expect them to be (3.6 in this case). Type in your stake (£25). Before you submit your bet, go back to Betdaq and do the same – load the bet into the slip by clicking on the lay odds you want and type in your stake, in this case it is again £25 (from the spreadsheet). This is why you need to use separate tabs or windows for Betdaq and Stan James – you want both betslips primed and ready before you commit yourself to anything. step 7 – place your bets. In general it is wise to place the bookie bet first. Prices can change and if the bookie cuts the odds the difference will be bigger than if the odds at the exchange move up a notch. Before you place the bet at Betdaq check that the bet has been accepted at Stan James (look for the words “receipt” or “your bet has been placed”). Unfortunately I can’t show a screenshot of this as Stan James will no longer allow me to place bets. (That’s another story!). Once you are satisfied that your bet has been accepted, go back to Betdaq and place your bet there. Check carefully that the receipt says that your bet is matched. That’s it – your qualifier has been placed. Now all you need to do is sit back and wait for the match to be played and your free bets to appear in your accounts. 1. The bet wins at Betdaq. You will have no money except the free £25 in Stan James. You will have your £70 deposit plus £23.75 (£25 lay stake less 5% commission) plus a £20 free bet in Betdaq. If you choose suitable odds for the SNR free bet you will almost certainly need to deposit more money into Betdaq to cover the lay for the free bet, and you will definitely have to do this if your bet won at Stan James. As far as the free money at Betdaq is concerned, as long as you bet with it once, it is all profit because it is stake returned. So if you were to take the 6.6 and 6.4 available here, your total profit on this deal would be £20 from Betdaq plus £20.57 from the SNR bet at Stan James, less the £1.25 you lost on the qualifier, which is £39.32. Check that there is enough liquidity for your lay bet at suitable odds at Betdaq. Use the spreadsheet to calculate your lay stake at Betdaq remembering to fill in the £25 in the stake forfeit box. Check the lay risk figure on the spreadsheet and make sure you have enough money to cover it in Betdaq before you start to bet (in this case it is £116.93, but it may be quite a bit more depending on the odds of the bet you choose) – you will almost certainly need to deposit some more. Load up the betslips and check that the odds are correct. Enter the amounts and be careful to tick the option for the free bet at Stan James otherwise it will use your own money if there is any. Then place the bets and wait for the match to be played and the bets to settle, and withdraw your funds. Personally if I didn’t have a Betfair account I would leave any money that was in Betdaq in place, as I would want to do Betfair next. The principle is exactly the same, although you need to place a back bet for your first bet at Betfair and treat this bet as SNR because it is a refund if lose. Remember that you need to enter 5% commission for both halves of this bet since they are both exchanges. Don’t forget to check for cashback offers and promotional codes too. You may find that you are asked to provide ID when you submit your withdrawal request at either Stan James, Betdaq or both. You should be prepared for this to avoid delays. Not all free bets are as profitable as this – remember that you got 2 free bets here – one from Stan James and one from Betdaq. Most of the time you will only get one because you will be using a Betfair or Betdaq account that you have used before. Obviously in this case you omit the “sigining up to Betdaq” section, but the rest of the procedure is exactly the same. There are 144 Guests online and 87 Members Logged In currently reading JuiceStorm.com. Welcome everyone. Join TradeChat for a chance EVERY month to win a year's subscription to TradeSelect - worth £600!